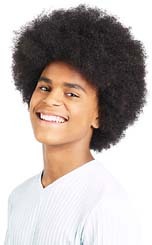 Wayne Travis and his mates may not be the greatest footballers in the world but the happy, multi-cultural team of all ages, both sexes and every permutation of colour and faith, certainly knows how to enjoy the great game. But when they are drawn in the first round of the F.A. Cup, things suddenly start to get serious. 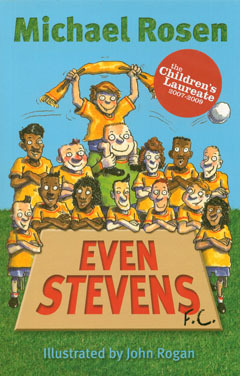 Even Stevens by children's laureate Michael Rosen is a must for all young football fans. A hilarious full colour comic picture book, Even Stevens will have you laughing your head off. Even Stevens by Michael Rosen is available to buy now.